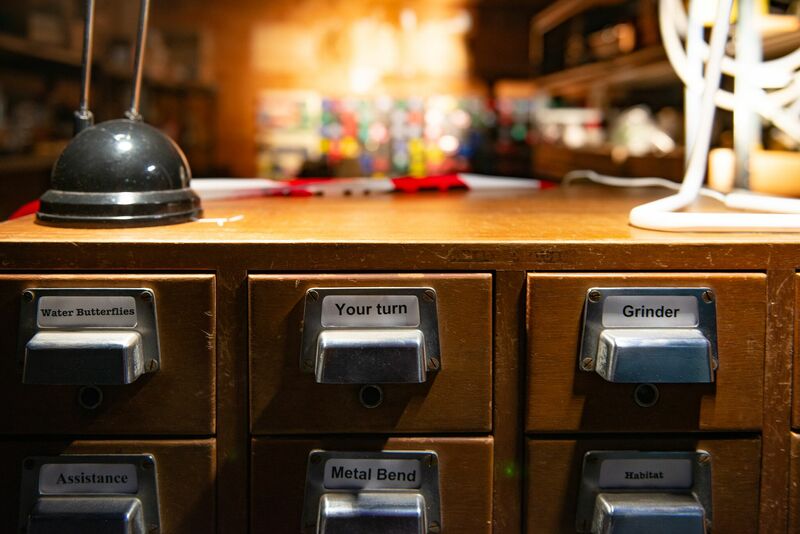 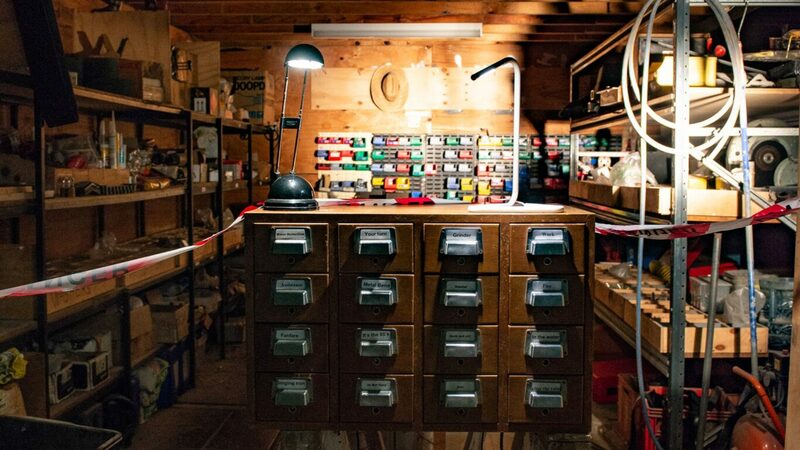 Sounds from the local environment are captured and presented in antiquated library drawers, which function as instruments for sonic exploration. 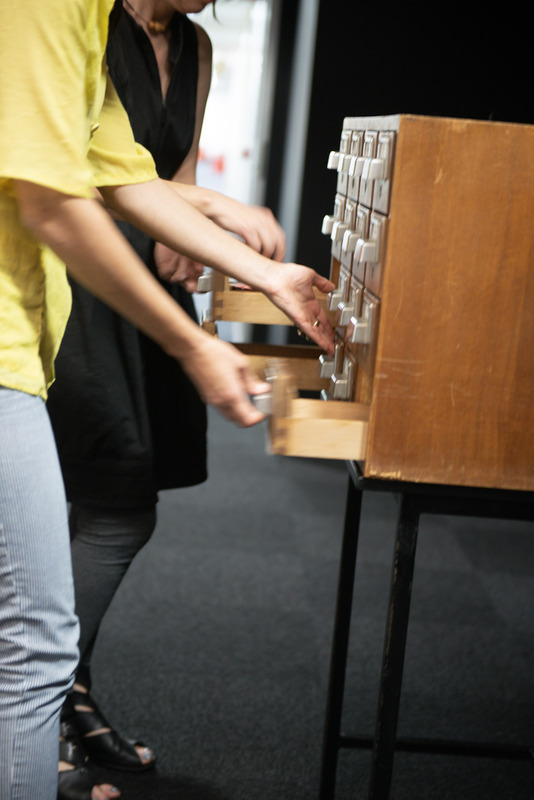 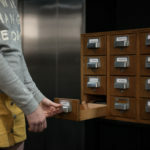 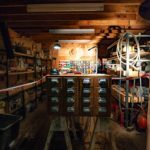 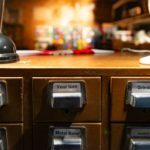 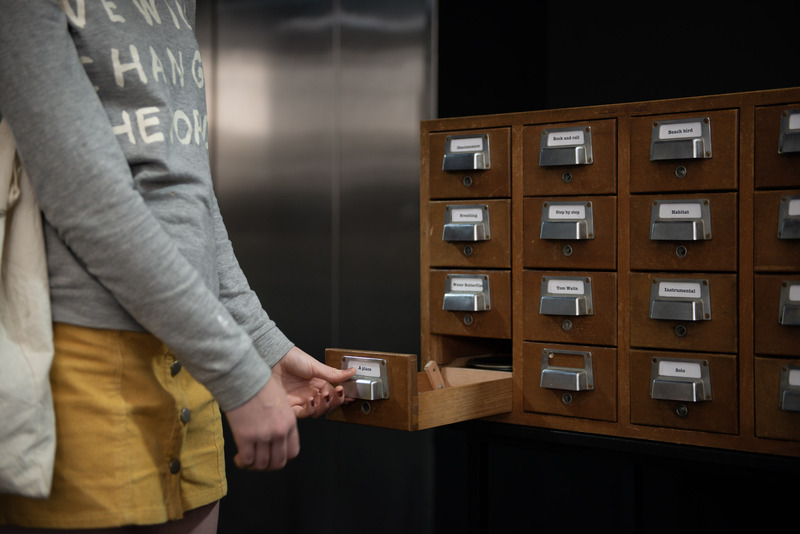 The upcycled library catalogue houses the sounds of place, and provides a tangible visual metaphor for memories, triggers, and sonic transformations of the immediate environment. 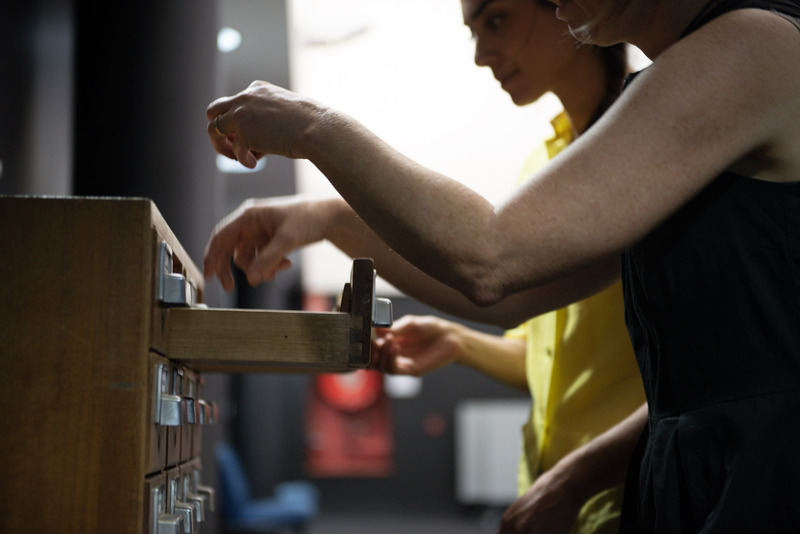 The ephemeral nature of sound is maintained, but the performative action of listening is highlighted. 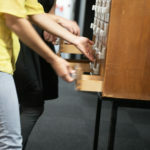 Listening Boxes is an open-ended work that is re-programmed to capture its environment whenever it is exhibited. 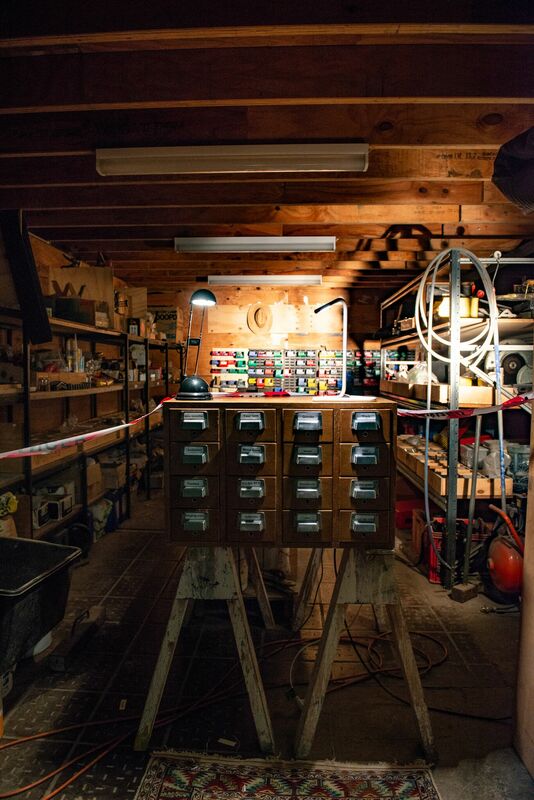 (By Vanessa Tomlinson, John Ferguson, Sulja Raam Nezovic). 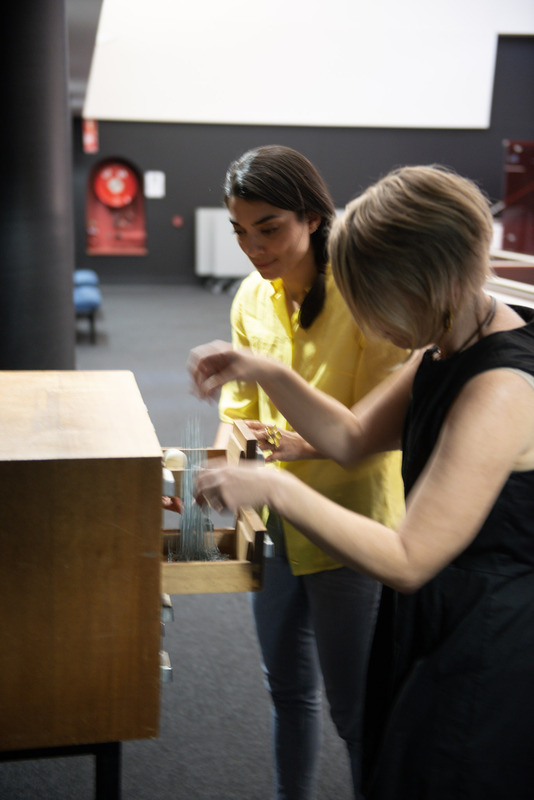 This site-specific interactive installation suggests that sound and listening play an important role in how we understand the world. 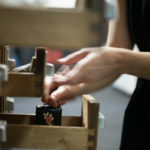 This project also celebrates technological minituraisation and embedded computing. 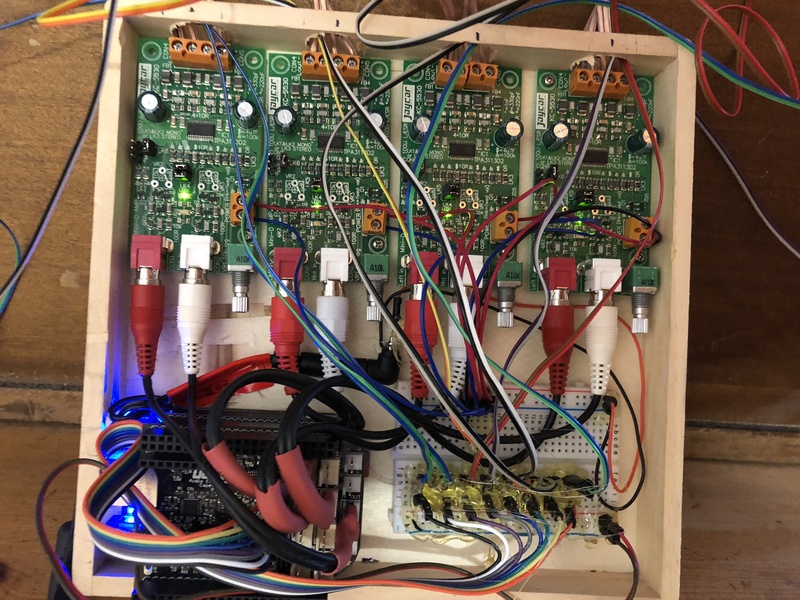 The digital heart of Listening Boxes is a Bela cape and a single-board computer (Beaglebone Black), this runs bespoke software written in Pure data. 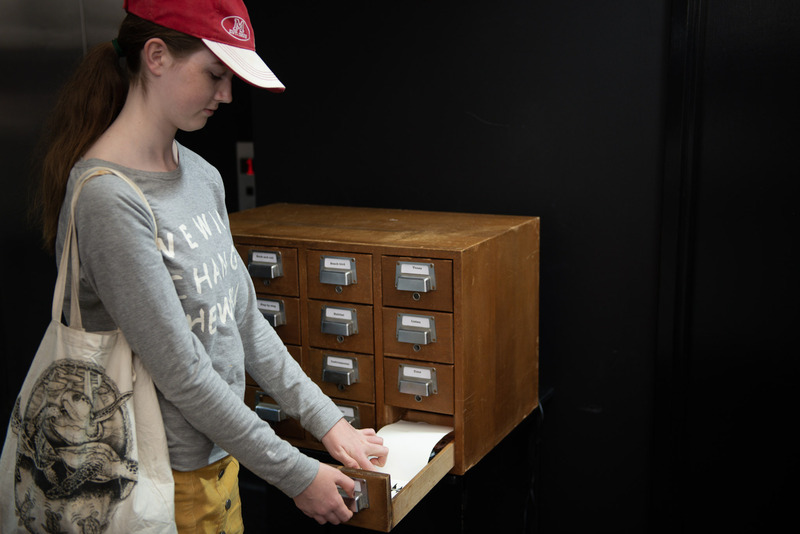 Photoresistors sense the amount of light in each drawer as it is opened and closed, this is used to manipulate sound file playback. 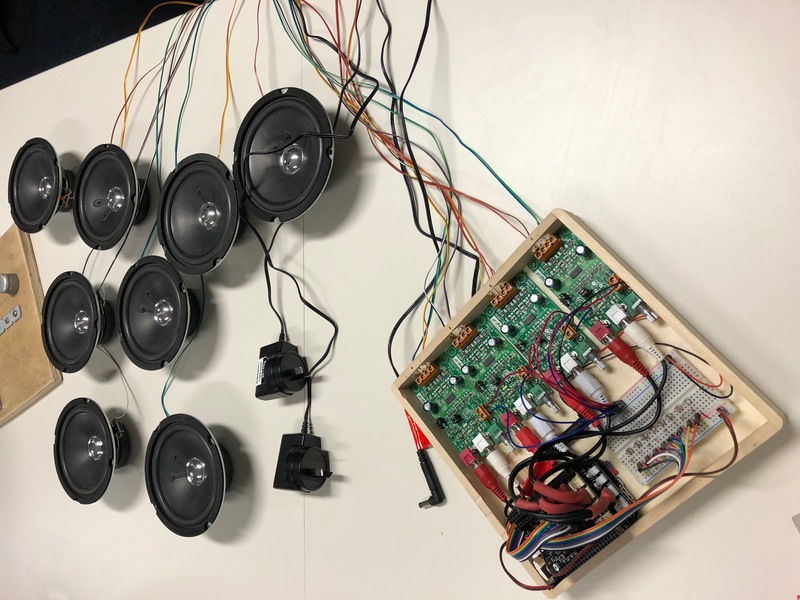 An additional breakout board provides multi-channel output, which is piped to loudspeakers via an amplification system that allows eight of the drawers to have unique sounds individually located within them. 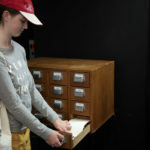 The remaining drawers contain acoustic-mechanical sound-making objects and visual stimuli relating to the local environment. 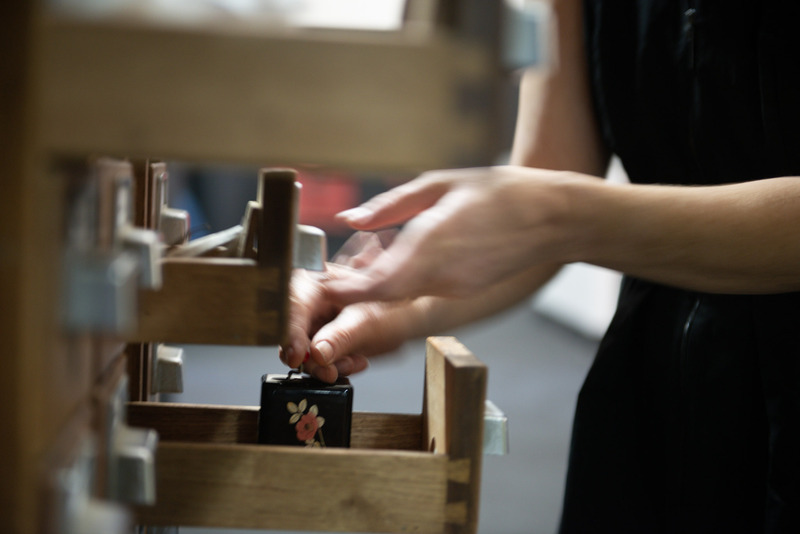 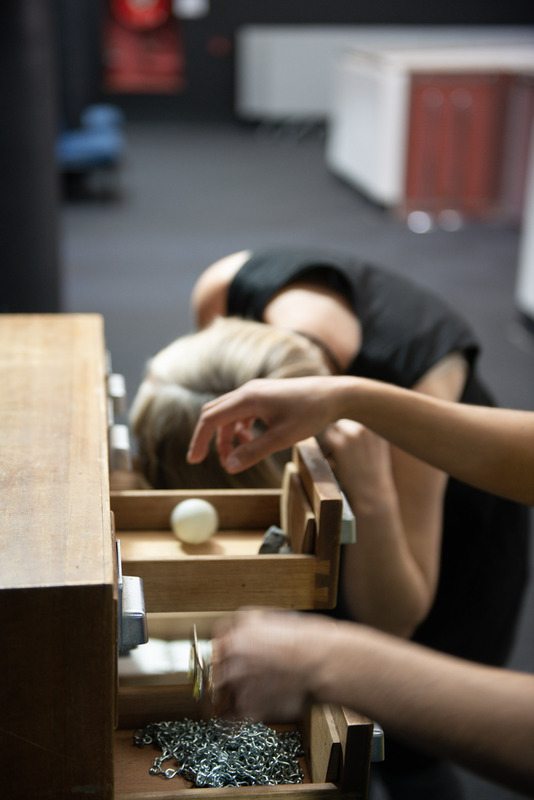 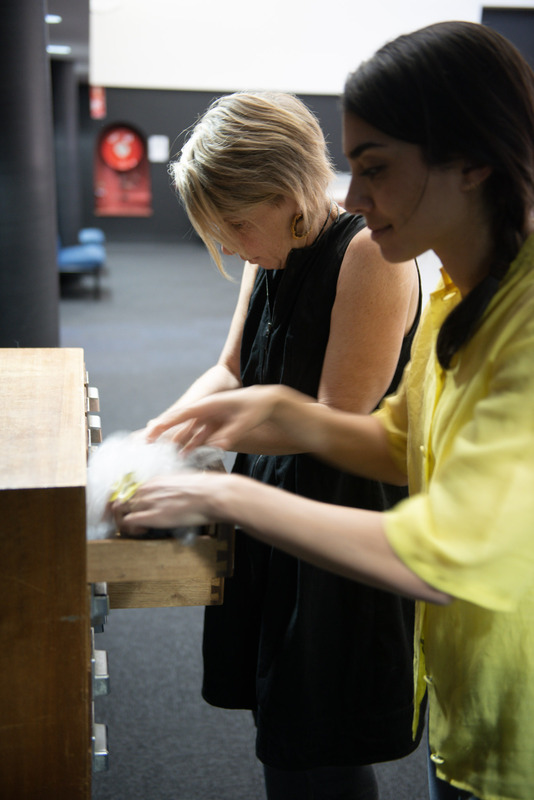 Listening Boxes was created as part of Hidden Sounds 2018, a series of 7 sound installations curated by Clocked Out with funding from the Australia Council for the Arts. 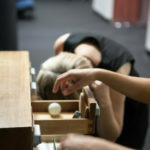 The installations were collaboratively developed by Erik Griswold, Vanessa Tomlinson, John Ferguson, Sulja Nezovic, Leah Barclay and Erkki Veltheim, in partnership with the Queensland Conservatorium Research Centre. 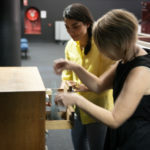 Hidden Sounds have appeared as part of National Science Week and the Eco-Acoustics International Conference, installed at Tyalgum Music Festival, and presented at The Listening Museum III in association with Clocked Out and Urban Arts Project.